The rand closed at R13.79/$ at 17.00 CAT after trading in range of 13.6554-13.8324 for the day. Earlier, TreasuryONE senior currency dealer Andre Botha noted that the rand's strength had come on the back of president Cyril Ramaphosa reiterating the independence of the Reserve Bank. "We will see how this plays out in the next few months leading up to the election and could add some volatility into the mix," he said. The Reserve Bank has kept the repo rate unchanged at 6.75%, in line with the expectations of most economists and analysts. Governor of the SA Reserve bank Lesetja Kganyago announced the benchmark rate call at a media briefing in Pretoria. He said the decision was unanimous. The repo rate is the interest rate at which the central bank lends money to other banks. Changes in the repo rate affect the prime lending rate, which is the rate banks use as a starting point to calculate interest rates for their clients. Foreign ownership of South African government debt is declining, but that’s not necessarily a bad thing. Non-resident holdings of the country’s bonds dropped to 38% at the end of December, from a high of 43% in March, according to National Treasury data. Africa’s most-industrialised economy relies on portfolio inflows to help finance a persistent current-account deficit. 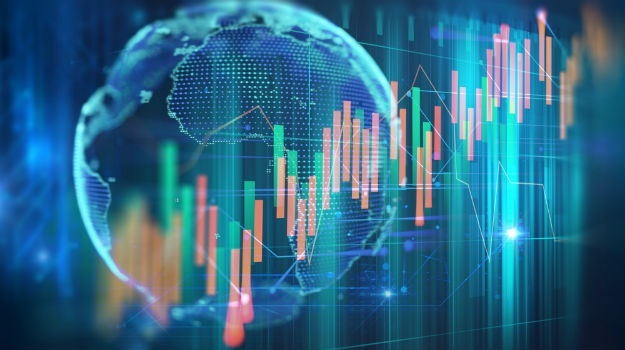 Foreigners have been more than happy, historically, to buy in as real rates on South African government debt are attractive – among the highest in investment-rated developing nations. US equity futures and European shares fell on Thursday after edged lower after a mixed session in Asia as concerns about rising tension between US and China offset signs of a better-than-expected start to the earnings season. The dollar was steady and Treasuries edged higher.Contracts on the Dow, Nasdaq and S&P 500 all fell, though they came off the lows of the day. Banks and auto shares led the retreat in the Stoxx Europe 600 index after Societe Generale SA said it expected a 20% drop in quarterly trading revenue as market volatility reduced client activity. Oil retreated below $52 a barrel as data showing record US crude production suggested markets may remain oversupplied despite output cuts by Organisation of Petroleum Exporting Countries and its allies. Futures lost 1.1% in New York, trimming gains of 3.6% over the past two sessions. Booming American output is weighing on prices even as the OPEC+ coalition implements supply cuts announced late last year. The rand was trading slightly weaker against the dollar at midday on Thursday, with markets waiting for the outcome of the Reserve Bank's repo rate decision at 15:00. The local currency opened the day at R13.69/$ and was trading at R13.72/$ at 12:00. The expected outcome is for the bank's monetary policy committee to keep the benchmark rate on hold at 6.75%, said Andre Botha, Senior Dealer at TreasuryONE, in a note to clients. Mr Price shares fell more than 10% on Thursday morning, this after the retailer issued a trading update. The shares, which opened at R235.50, had fallen by as much as 10.74% to trade at R231.36 by 10:00. Earlier Mr Price released a trading update for the third quarter and the nine-month period ending December 29, 2018. For the nine months, group retail sales and other income increased by 5.8%. Between September 2018 and December 29, 2018, retail sales and other income grew by 3.5%. Retail sales specifically grew by 1.9% to R6.7bn. "The corporate store sales performance detailed above was below expectations," the update read. It attributed the weakening sales to a poor economic and retail environment, a deterioration in consumer confidence in the third quarter, lower than expected Black Friday sales in November and December school holidays which were shorter than the year before. The share was trading 13.10% weaker at R225.20 by 10:20. Woolworths shares slumped by more than 7% on Thursday morning in the wake of a trading update. The retailer's share price which opened at R52.25, and was trading as low as R50.19 by 09:30. In the trading update for the 26 weeks ended December 23 sales increased by 1.9% compared to the same period last year, which ended on December 24. "Sales growth was impacted by one day less of pre-Christmas trade, compared to last year," the update read. In SA the group's Fashion, beauty and home sales declined by 2% due to a "significantly smaller" Winter clearance sale in the first quarter. "Sales in the second quarter of the year have, however, shown positive growth," Woolworths said. The group's food sales increased by 6.3%, and the volume growth was attributed to low inflation, higher levels of promotions and price investment. "Woolworths' Financial Services debtors book reflected positive year-on-year growth of 4.8% as at the end of December 2018," the update read. "The annualised impairment rate for the six months ended 31 December 2018 was 3.5%." David Jones sales increased by 1% - the performance weakened in line with the rest of the retail market leading up to Christmas, Woolworths said. Online sales, meanwhile, have grown by 46.1%, and now contribute 7.7% of total sales. Country Road Group sales increased by 2.3%. its online sales grew by 20% over the period, representing 17.7% of sales. By 10:00, the share was trading 7.74% weaker at R50.66. The question and answer session following the day's rate announcement by Reserve Bank Governor Lesetja Kganyago will be telling as topics of the bank's independence and who might be appointed to the Monetary policy Committee following deputy governor Francois Groepe's resignation, head of global markets research at RMB Nema Ramkhelawan-Bhana commented in a market update. "Talk of nationalisation has been watered down in recent days by the president and the minister of finance, with both stressing that the independence of the bank is non-negotiable, while the SARB remains firm on its mandate," she said. However, the governor’s assurances on these points are unlikely to quiet the noise as the SARB’s role in the economy is a major talking-point among political parties ahead of the elections, she added. It is expected that the Reserve Bank will keep interest rate unchanged. "The global environment is arguably more supportive of risk assets than it was in November, with the Fed no longer assumed to be in a hiking cycle and China pledging to reflate its economy, affording the SARB opportunity to keep rates on hold – at least in the short term. "That isn’t to say that the SARB will be pressing pause indefinitely: uncertainty over US and global growth and, ultimately, the Fed’s interest-rate path, will create two-way risk to the rand. "This could precipitate further hikes if the exchange rate weakens persistently, posing meaningful upside risks to inflation," Ramkhelawan-Bhana commented. As for data on the fourth quarter economic activity recently released – Ramkhelawan-Bhana is of the view it will have "little bearing" on the bank's growth assumptions. November retail data, which grew by 3.1%, was better than expected, and positive manufacturing data may offset weak mining figures, she explained. "This points to a 4Q18 GDP print of around 2.0%, implying that 2018’s growth is likely to have averaged around 0.7%, 0.1ppt higher than the SARB’s 0.6% assumption." The rally in risk assets faded on Thursday, with Asian stock indexes trading mixed and the yen recovering, as concerns about rising US-China tensions offset signs of a better-than-expected start to the earnings season. The dollar and Treasuries steadied.While shares rose in Japan, gains fizzled in Hong Kong and China, and US and European futures declined. News of US prosecutors investigating Huawei Technologies for allegedly stealing trade secrets weighed on sentiment despite strong profits at Goldman Sachs and Bank of America that buoyed the S&P 500 Index Wednesday. In general, it seems economists are of the opinion that the SA Reserve Bank (SARB) will likely keep the repo rate unchanged this time. SARB's Monetary Policy Committee (MPC) has its first meeting for 2019 this week and governor Lesetja Kganyago is set to announce the rates decision at 15:00 on Thursday. At its previous meeting in November 2018, the MPC announced a 25-basis points increase in the repo rate. This was the first increase since March 2016 and brought the repo rate and prime lending rates to 6.75% and 10.25%, respectively. Tokyo stocks opened higher on Thursday with investor sentiment buoyed by gains on Wall Street and a lower yen. The benchmark Nikkei 225 index rose 0.52% or 105.36 points to 20 548.11 in early trade while the broader Topix index was up 0.56% or 8.54 points at 1 546.31. The rand started the day at R13.69/$, having made gains the previous day o the back of better-than-expected retail sales data for November. StatsSA on Wednesday released the retail figures, which were bolstered by Black Friday and Cyber Monday. Sales grew by 3.1%, year-on-year. The Reserve Bank will later announce the rate decision following the meeting of the Monetary policy Committee. There are expectations that rates will be kept on hold, as there was a 25 bps hike in November, Bianca Botes, corporate treasury manager of Peregrine Treasury Solutions, said in a market update. She noted that market participants are still weighing in on the performance of emerging markets which is adding resistance to the rand's strengthening path. "We will also keep an eye on jobless claims coming out of the US this afternoon. A continuation of the strong jobs data trend could provide the dollar with a boost," she said. The rand's trade is expected to range between R13.62/$ and R13.77/$ on Thursday.